To commemorate the 100th anniversary of the Battle of the Somme, NMPAT performed the Somme score live with film with the youth orchestra and also worked with eight secondary schools and academies with composer Laura Rossi and education consultant Ellen Thomson on a silent film composition project: Mud, Blood and Music which drew on the Sounding the Somme resources. Ellen Thomson and Laura Rossi led a teacher training session with 8 music teachers from Northamptonshire who used the resources for a film music project with KS3, KS4 and KS5. 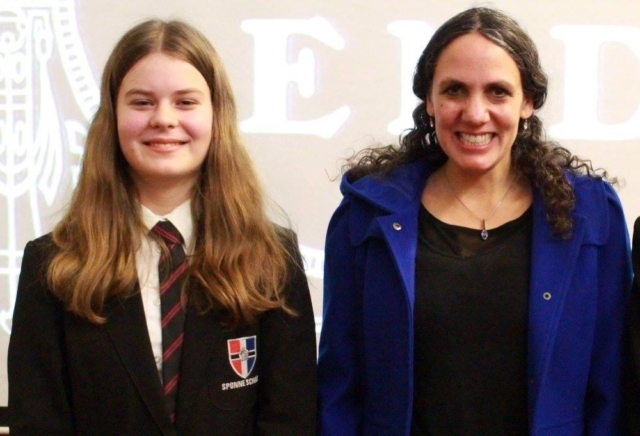 They ran a competition with three age categories who were asked to compose a score to one of three archive clips provided by the Imperial War Museum. This culminated in an awards ceremony for the winning entries in Richard Coles Hall, Northampton. 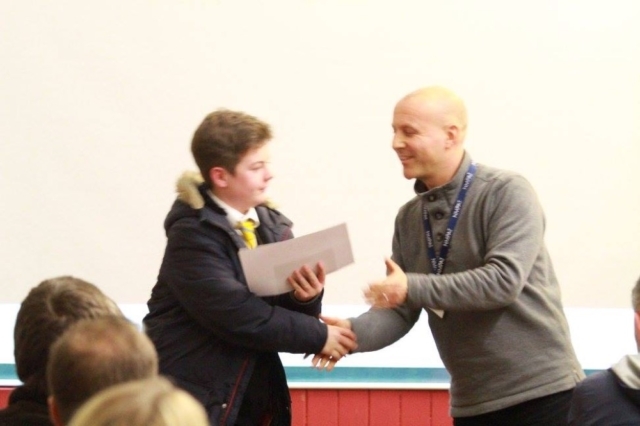 The winners were – Jak Elmore (KBA) KS3 winner, Matt Kingston (NSG) KS5 winner and Penelope Tolervey (Spoone) KS4 and overall winner. 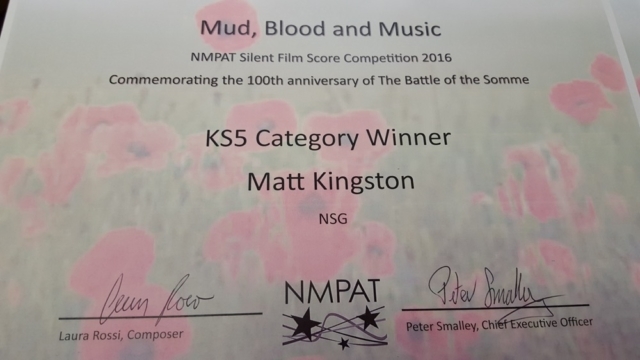 On behalf of NMPAT and all of the teachers involved in the project, thank you so much for your involvement, enthusiasm, good judgement, provider of the most wonderful music and inspiration for our silent film competition. I really enjoyed last night and thought that the quality of the entries was really impressive. I really enjoyed your contribution, particularly because of your own emotional link with the Battle and the sensitivity with which you carried out the commission. Great stuff! Northampton Sounding the Somme awards ceremony was a brilliant event! The teachers said that composition is something that many music teachers struggle with teaching and kids sit there with a blank page. They said our resources really helped them and they are going to carry on using them and apply them to other composition lessons. 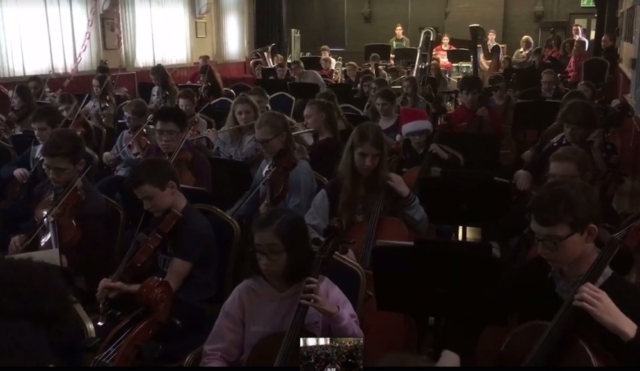 They also said film music was a great way of getting kids to compose, as it was easier for them to think of ideas and be inspired by the films. 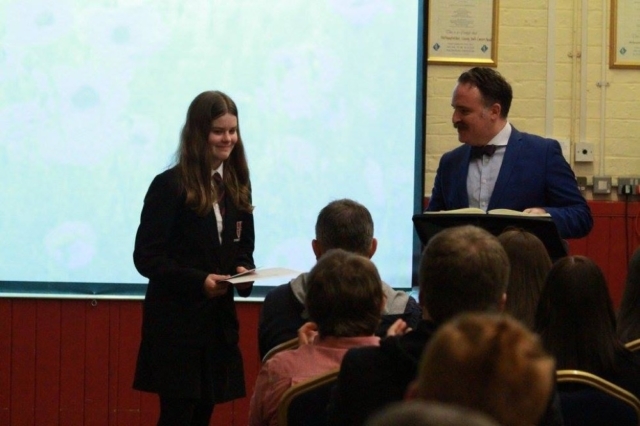 One teacher said she did a show and tell type lesson and loads of kids found family connections to the Somme and a couple brought in medals to show. 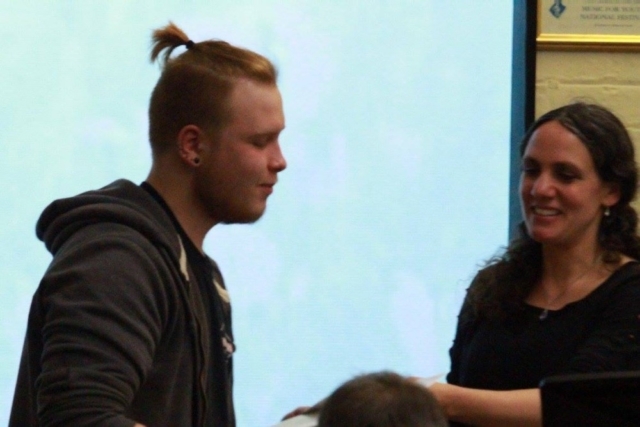 This helped them to think more deeply about the films and helped inspire them to write their own music. I did a workshop with all the finalists and as there were about 30 finalists from the 7 schools it felt like there were lots of kids that were encouraged by getting that far and lots of them said they want to be composers when they grow up. I spoke a bit about the film and writing the music and showed some clips. The 2 other judges (composers Richard Leigh and Benjamin Till) had also written music relating to the Somme and had family connections which they both spoke about. 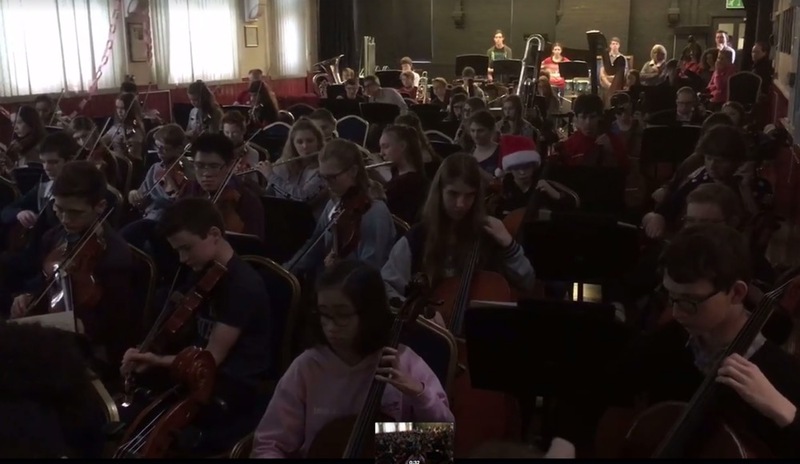 Luke Thompson, a member of the youth orchestra who had played the Somme score, showed some clips from the event and spoke about his experience playing cello in it. 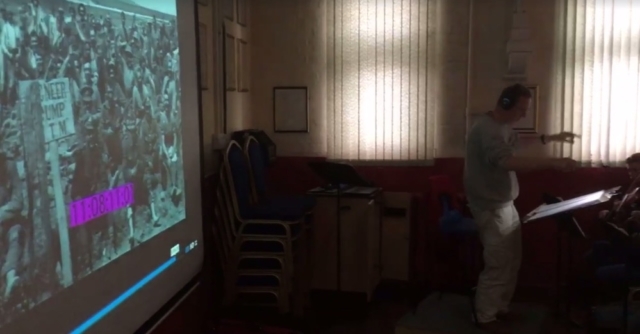 Northampton School for Girls also screened a brilliant 10 minute showcase video of their Somme performance evening inspired by the Sounding the Somme resources. There were some great entries for the film music competition so it was quite hard to pick the winners. 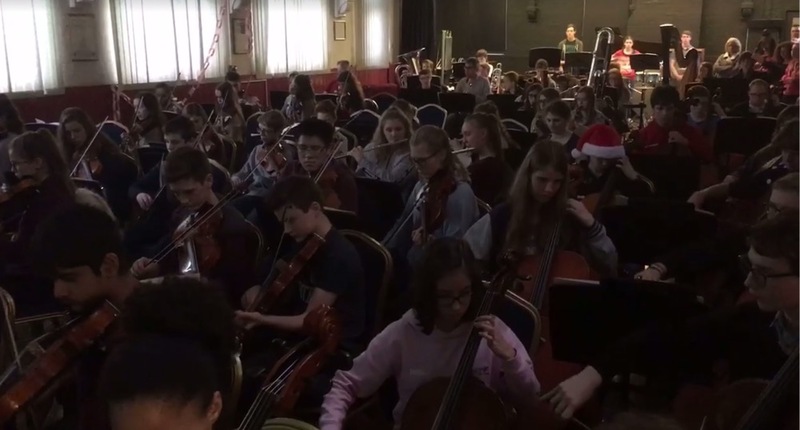 The kids had come up with some very original and advanced compositions and it was brilliant to see how much the secondary school students had connected with these films. Northampton music trust said they are now going to make the composition awards evening an annual event.